The First Battle of Rappahannock Station, also known as Waterloo Bridge, White Sulphur Springs, Lee Springs, or Freeman's Ford, took place from August 22 to August 25, 1862, in Culpeper County and Fauquier County, Virginia. Early August, Lee determined that McClellan’s army was being withdrawn from the Peninsula to reinforce John Pope. He sent Longstreet from Richmond to join Jackson’s wing of the army near Gordonsville and arrived to take command himself on August 15. August 20-21, Pope withdrew to the line of the Rappahannock River. (Description from the National Park Service). first officer casualty. Hudson was mortally injured as the 88th demolished the Orange & Alexandria Railroad bridge located just north of Mitchell’s Station, which spans Cedar Run Creek. Hudson survived the fall to the creek bed only to be hit by falling debris. popular officer with enlisted and officers alike. August 19, 1862—The Army of Virginia retired to the northern (Warrenton) side of the Rappahannonck River. Abandoned boxes of Confederate hardtack are quickly consumed by the hungry soldiers of Ricketts’ Division. Assigned to cover the withdraw, the 88th forms a line of battle on the southern most corner of the Cedar Mountain battlefield in anticipation of a Confederate pursuit movement across Raccoon Ford. 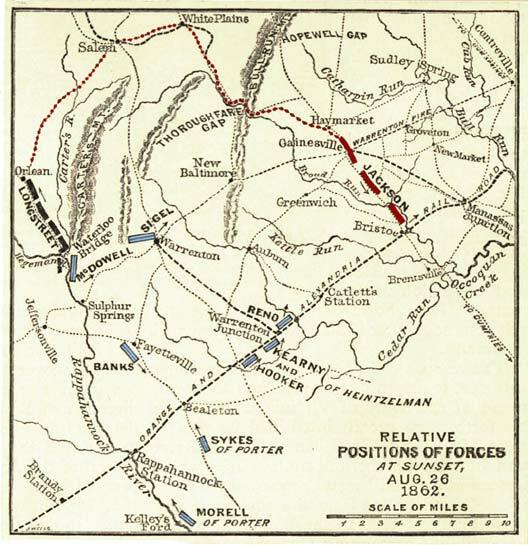 No Confederates were seen advancing up the Raccoon Ford Road, and the 88th marched northeast, paralleling the Orange and Alexandria Railroad, along the Rapidan Road (present day Route 615 and Route 522). 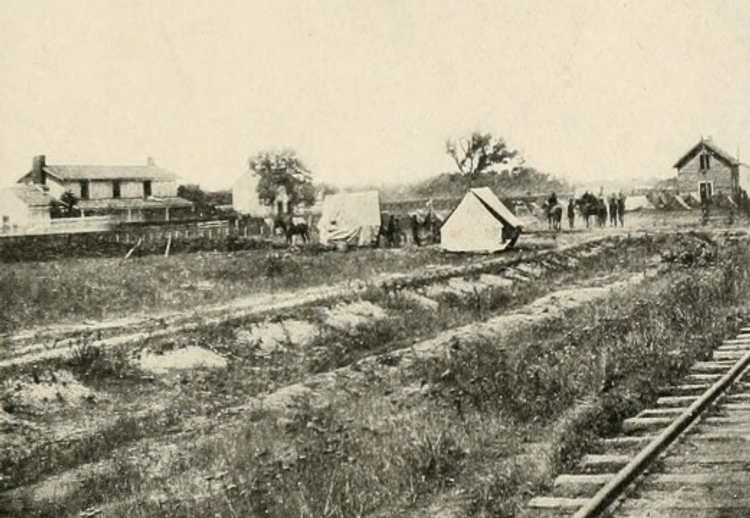 Reaching the Germanna Road, the 88th turn northward passing through Culpepper and Brandy Station and following a “severe march” the 88th reaches camp near Rappahannock Station after nightfall. Battle of Rappahannock Station LC-USZ6-1421 Image published in Harper's Weekly, v. 6, on September 13, 1862 p. 381.
a few hundred casualties, including seven members of the 88th. The results of the battle were inconslusive.